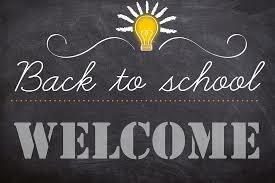 Welcome back to the 2018-2019 school year!! I hope you all had a relaxing and enjoyable summer! I am Judy Munno and I’m happy to be starting my 18th year at Our Lady of the Miraculous Medal and then Notre Dame Catholic Academy. In the course of those years it has been my privilege to teach so many wonderful students. This year I look forward to the same opportunity. I will continue to be the 8th grade homeroom teacher as well as the Math teacher for grades 5, 6, 7, and 8 where we will continue to make strides in Mathletics and Math Hoops. In addition I will be teaching 8th grade Religion. This year I am very happy to also be teaching the Common Core Algebra class. I look forward to working with many 7th and 8th graders and to prepare the 8th graders to take the Algebra Regents in June. It is truly a fantastic experience being the 8th grade teacher because I get to share in so many special events and traditions with the class. As we prepare for Graduation please know Mrs. DiLorenzo and I are with you and your child every step of the way as we walk you through the high school process. At any time if you have any questions or concerns please feel free to leave a phone message for me in the office or write me a message on Option C and I will get back to you promptly. This is an exciting year and I’m looking forward to sharing in all the special moments with you and your child !